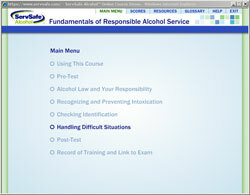 The ServSafe Alcohol online course is a premium responsible alcohol course. We use the same videos that are used in our classroom sessions. The video segments were professional filmed at Drexel University and are up to date and very realistic. 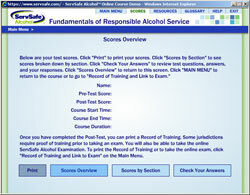 If you compare us to any other online alcohol course, you will see for yourself that we are the quality leader. 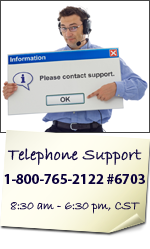 Our online ID segment is the most in depth available. 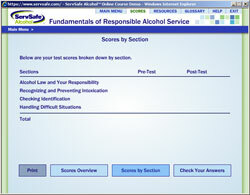 We are the only online responsible alcohol course provider to show you actual screen shots of our online responsible alcohol course before you buy. 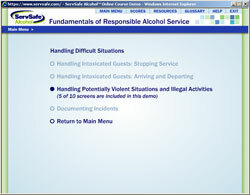 You may click on the thumbnail images below to see a larger screenshot taken from our course.